Australian supermodel Miranda Kerr is fronting a new campaign to raise awareness of a common birth complication. 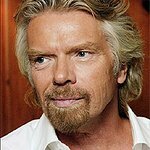 The Virgin Unite Fight For Fistula campaign – launched at a Halloween event on Richard Branson's Necker Island – aims to raise awareness of fistula, a condition caused by a hole in the birth canal. To watch Miranda’s new video about fistula, click here.